With your help, we will open a newly renovated 6,000 square foot museum in the Spring of 2017. This museum will be the only one of its kind in the nation, dedicated to exploring psychology’s past, present, and future. The museum space is nearly completed and the exhibits have been planned. What’s needed is your help to turn those plans into a reality. 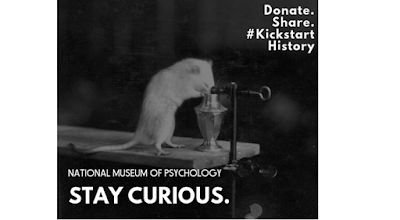 Your support will be used to create and install temporary and permanent museum exhibits that showcase many of the most important documents, media, and artifacts from the history of psychology. I've already made my donation. Hope you can help out as well!